Want to jump start your campaigns with your own audiences? Outbrain is integrated with some of the most popular DMP platforms to help you target your most engaged audiences. 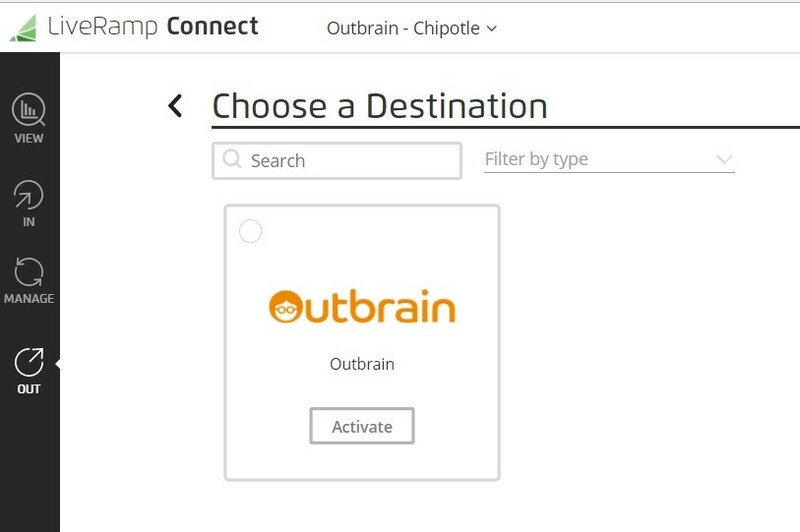 Outbrain is integrated with the following companies and we’re always adding more! To get started, you’ll need your Outbrainmarketer ID which is the alphanumeric chain that appears in the URL when you are viewing your dashboard. Each platform will need this ID in order to complete the import. To import your Oracle BlueKai data to Outbrain, check out their guide! Simply provide your Adobe representative with your Outbrainmarketer ID and they’ll set things up from there! Simply provide your Neustar representative with your Outbrainmarketer ID and they’ll set things up from there! To get started, you’ll first need to create a new audience in LiveRamp or use an existing audience. 5.) Click Distribute and then select your desired segments. Then, click Add to Distribution on the bottom. 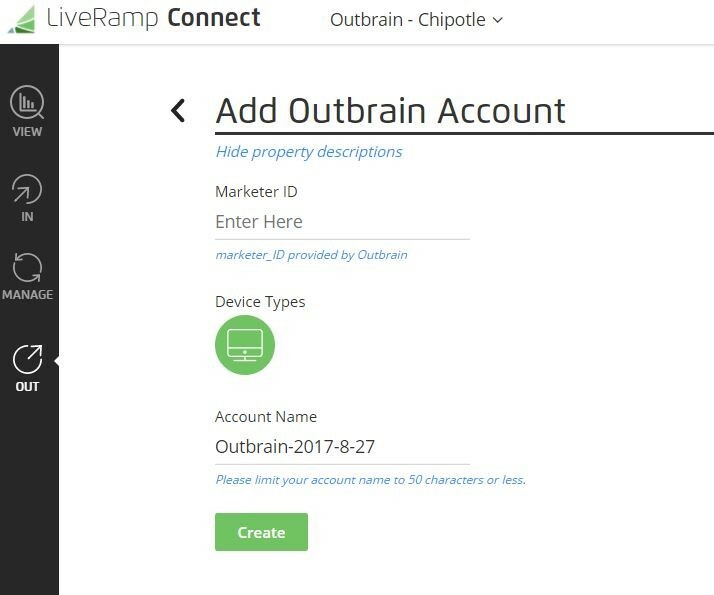 Your LiveRamp segment will now appear in your Outbrain account within 48 hours! If you’re using LiveRamp CRM data: The cost is $.20 per click for audience segments built from this data and $.02 per click for Lookalike Audiences created from a LiveRamp CRM audience segment. Please note that Lookalike Audiences built off of other audience segments still have no cost and there no changes to the other segments. It can take between 24-48 hours for your audience segments to appear in your Outbrain Dashboard. You can build Lookalike audiences from these segments! Just like with our Custom Audience segments, we recommend not adding first party audience segments to your campaign unless they have at least 100,000 users. Otherwise your campaign may have too low of a potential reach! Still have questions? Feel free to reach out to our Support team for further assistance.